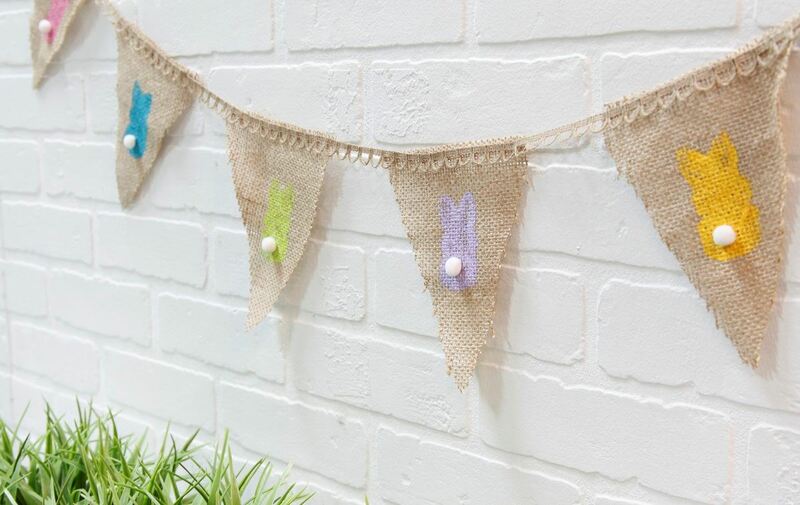 Spring is around the corner and Easter will be here before we know it! 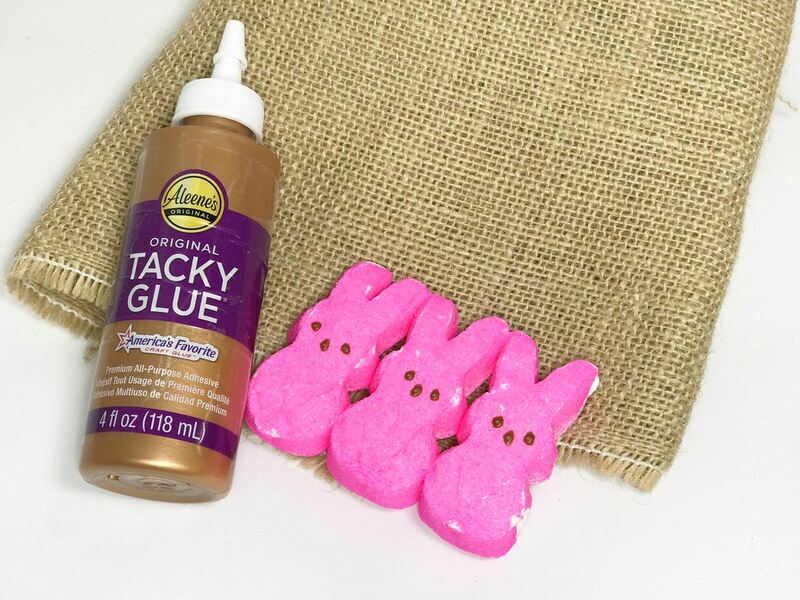 Use Aleene's® Original Tacky Glue to make this sweet little Peeps® themed burlap pennant. 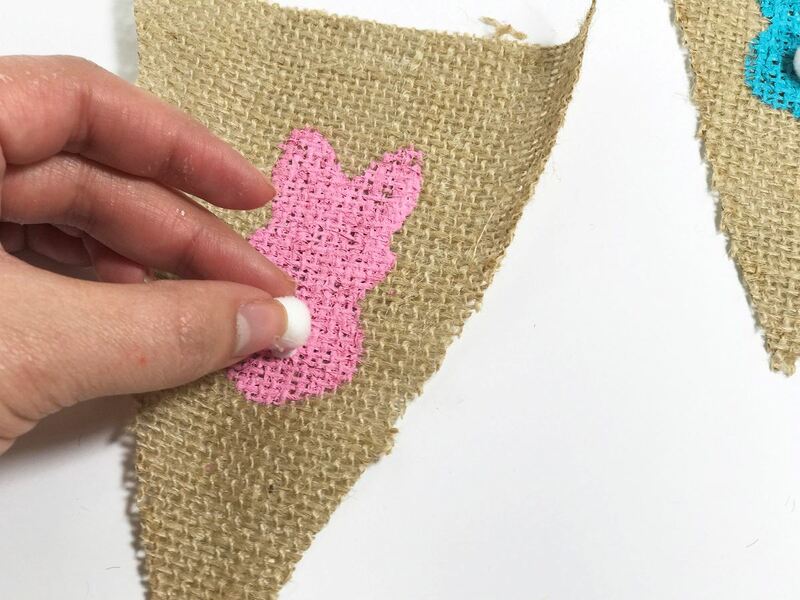 Measure and cut out 6 triangular pieces from the burlap fabric. 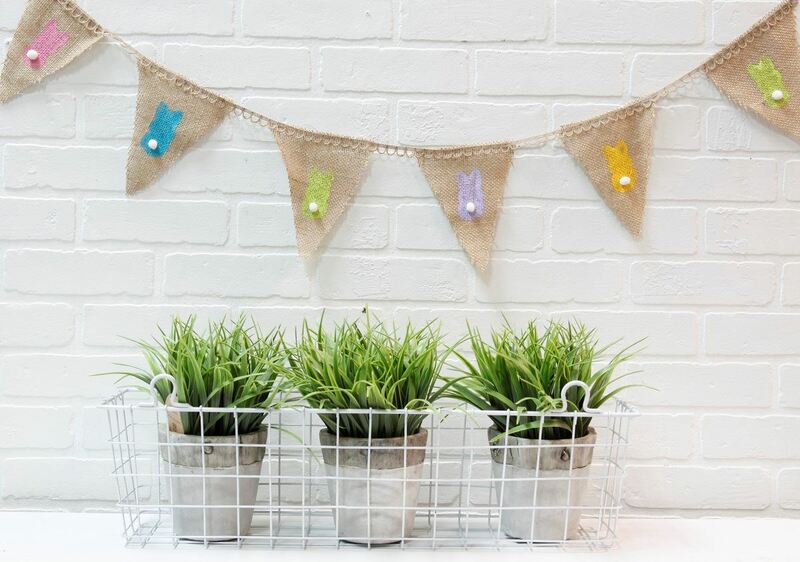 Choose your desired paint colors; soft pastels or neon colors are great for this project! 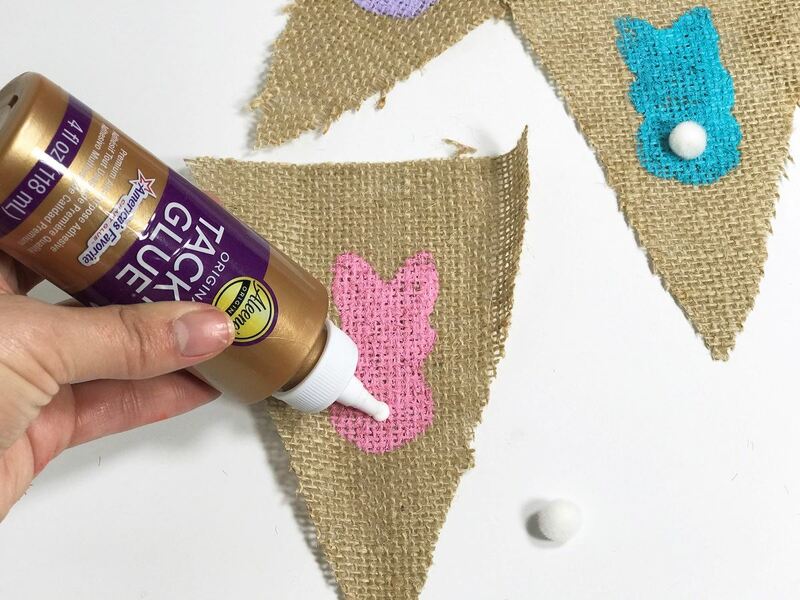 Place paint colors on a paper plate or paint palette then dab a Peep into one of the paint colors and press onto one of the burlap triangles. 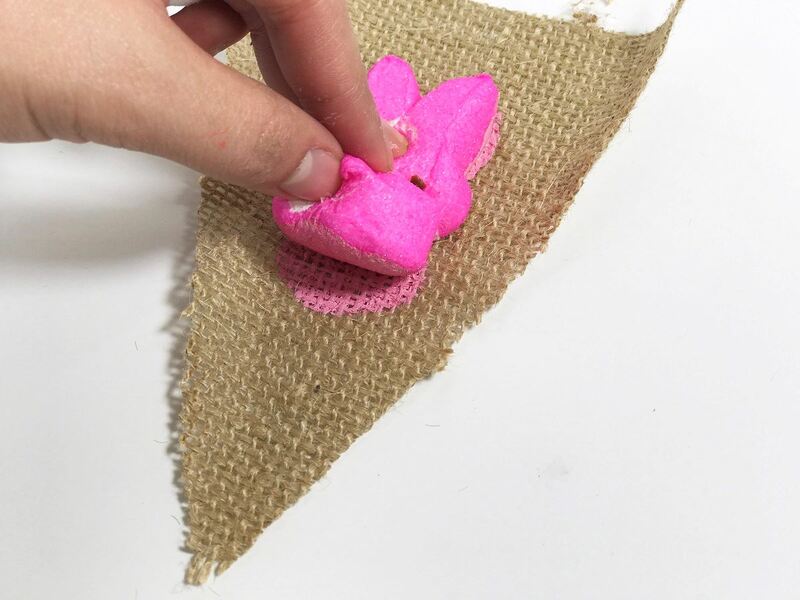 Alternate between colors (using a clean Peep for each color) and let dry. 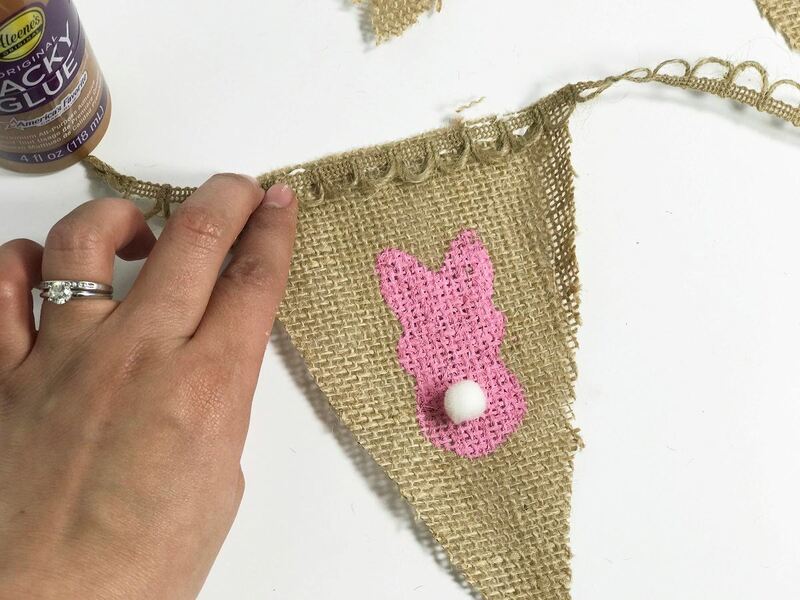 Use Tacky Glue to glue the pompoms on the bunny shapes to create the tails. 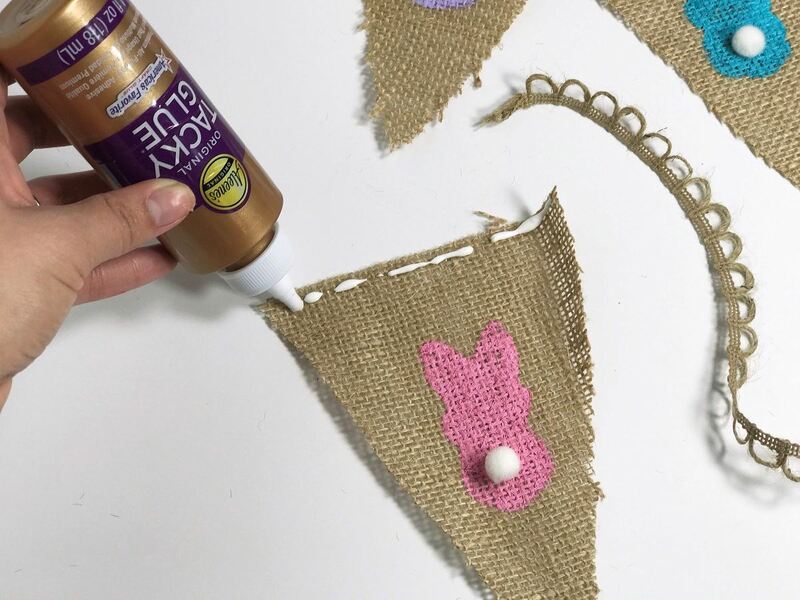 Add a small amount of Tacky Glue to the top of each burlap triangle and press a length of ribbon in place on the glue, equally spacing the triangles along the length of ribbon. Let dry. 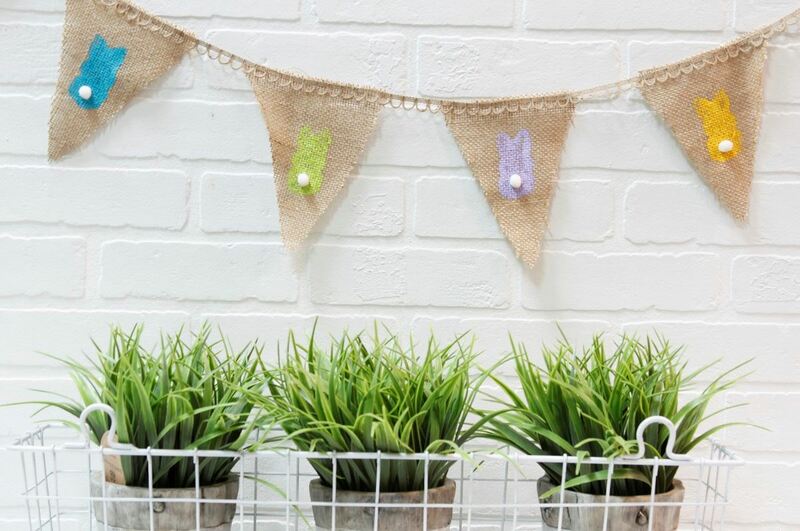 This adorable little banner is now ready to add some spring cheer to your home!